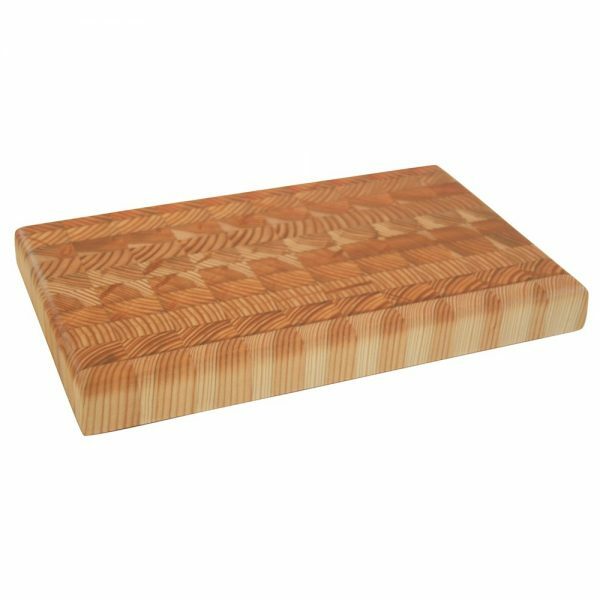 This everyday cutting board is made from endgrain larchwood and no two boards are alike. This board measures: 8″ x 13″ x 1-1/4″ and has rubber feet to hold the board off the counter and in place while cutting. Please come see the rest of the collection today.